Are you having a rustic, vintage, or country themed wedding? This is the perfect product for you. 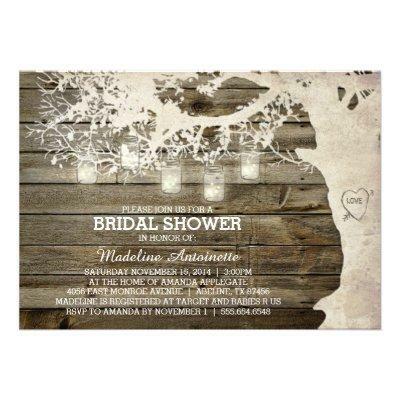 Product features a rustic barn wood background with a vintage white tree silhouette with bright mason jar string lights adorning the branches. The tree includes a heart-shaped carving where you can add your own unique message or initials. Please don&#;t hesitate to email me for custom requests.